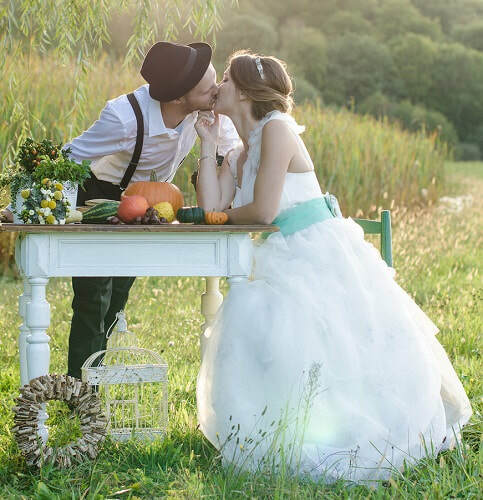 What are the benefits to having a celebrant? Using a celebrant gives you the freedom to have the ceremony you want. You can choose when and where you'd like to celebrate in a way that is personal and meaningful to you. A celebrant designs a ceremony that reflects your values, beliefs and personalities and conveys your commitment to each other. You can include elements of different faiths and cultures - great for couples who are from different countries wishing to celebrate their cultural heritage or nationality. You can also have a ceremony abroad, which is especially good if you'd like to have your celebration in another country without having to go through the legal marriage requirements. A celebrant takes the stress out of things and ensures the day runs smoothly. Can I have my ceremony anywhere? Pretty much! Your choice of location is endless and you can get married by the sea, at sea, in a forest, under the stars, on a mountain or in a hotel, castle, mansion or garden. Some venues will require permission, so best check this out beforehand. Will I be legally married if I have a celebrant? To be legally married you need to sign a marriage certificate at a registry office. Most people usually do this a few days before and then do the celebration bit with their family and friends. Some couples have their certificate with them on the day for photos and for guests to sign. Can my ceremony contain spiritual & religious elements? Absolutely. You can create the ceremony you want and it can include spiritual or religious poems, symbols and ceremonies. Likewise, you can have a traditional ceremony with the walking down the aisle and the exchanging of rings & vows. However you wish to express your love and commitment, a celebrant can help you create the ceremony to suit it. I am based in Cardiff and mainly cover South Wales and the South West. I'd love to hear from you if you're further afield and I am very happy to travel abroad.